GoldSim Blog: GoldSim 12 Beta is now available! GoldSim 12 Beta is now available! GoldSim 12 is ready for use! It is has passed our rigorous testing process and now ready for beta testing. 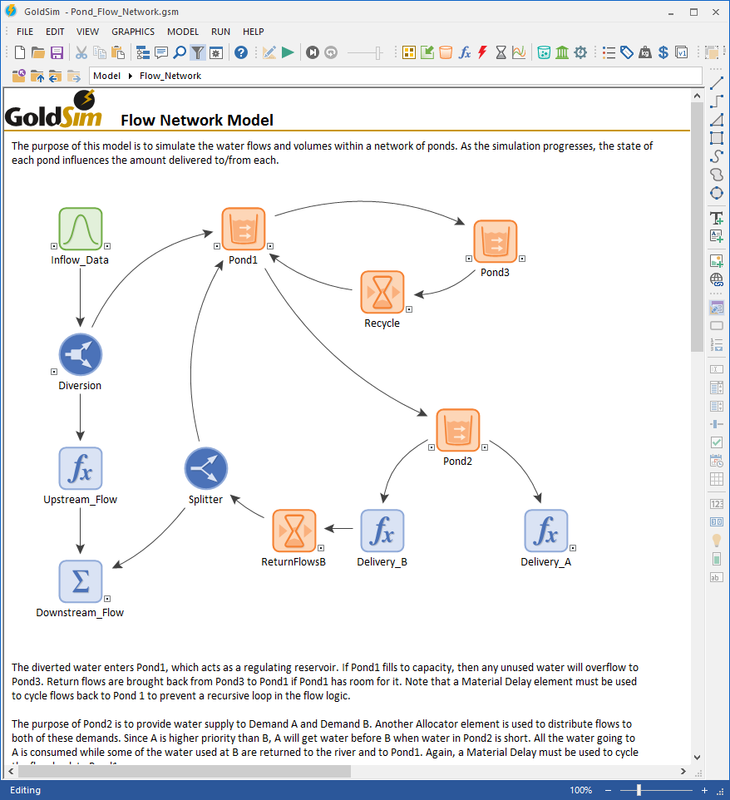 Before officially releasing the software to the public, we want to extend an invitation to experienced GoldSim modelers to try out the software and provide us with feedback and questions. If you are interested in trying the GoldSim 12 beta, please let us know and we can send you the software and a temporary license. Please send your request for the beta software to our help desk, here. 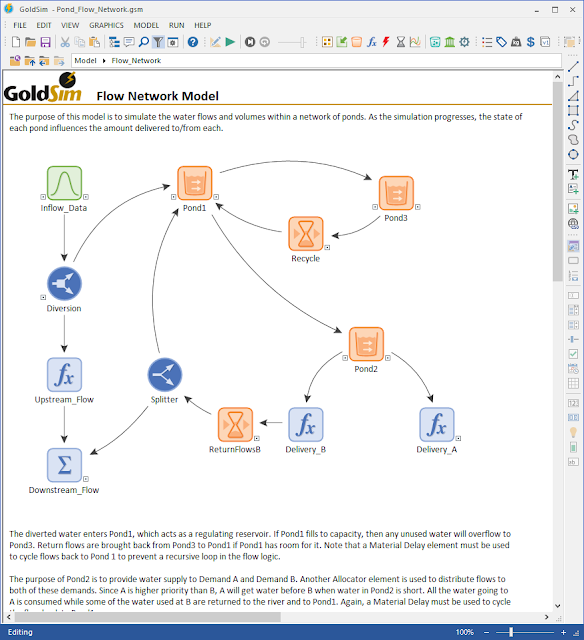 Although GoldSim 12 has a large number of new features and capabilities, the most noticeable changes are associated with new user interface features. In fact, GoldSim has a completely updated “look and feel”. Many of the user interface changes make GoldSim easier to use by providing a new way to insert elements, new behavior for input and output ports, and incorporation of the Run Controller into the toolbar and status bar.